Iris, 22 year old Colombian woman has a return ticket to her country leaving the next day. Reluctant to return she starts to investigate what could be her eventual future as an illegal immigrant. With only 24 hours she has to decide on trying to get closer to her dreams or her home. Liliana Díaz Castillo, Colombian Director and Scriptwriting. She directed the documentary “Chang Ping, in China” (2006) and The “Life in Pink” (2007), about the social inequalities in Colombia. 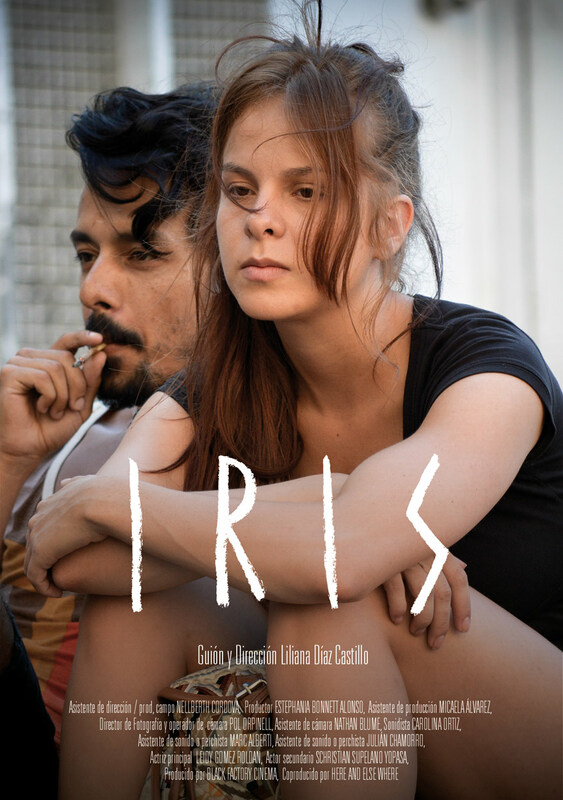 In fiction she directed in Paris the short film “Focking Venus” (2013), and IRIS, in Barcelona 2017. Both works inspired by women, migration and space. In 2013 she found the production company Black Factory Cinema, recognized for their alternative training work with directors like Abbas Kiarostami and Werner Herzog.